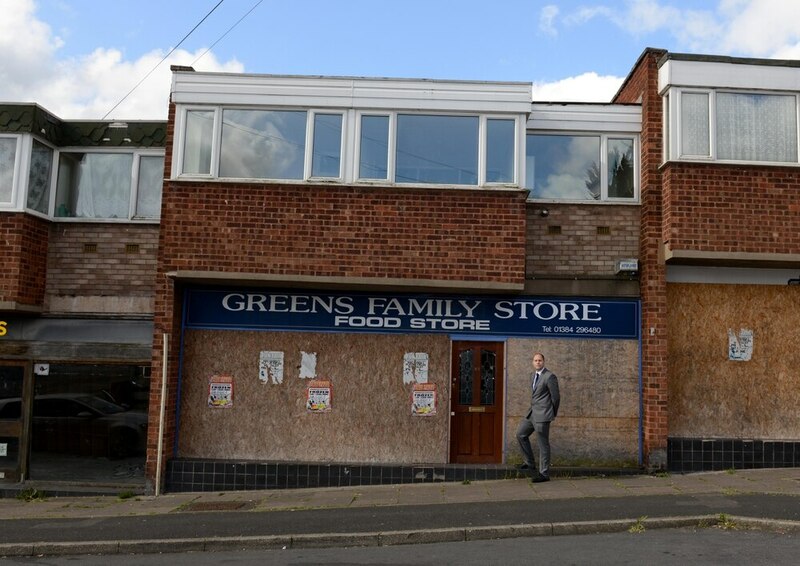 A campaign has been launched to transform a derelict row of shops in the Black Country over safety and crime fears. Ward councillor Paul Brothwood has launched a petition calling for Dudley Council to make a compulsory purchase order (CPO) to take control of the eyesore area in Wordsley, near Stourbridge. He says that housing could also be an option for the site at Sandringham Place. Around 50 signatures have already been gained on the e-petition on Dudley Council's site since it was created at the start of this week. In a statement Councillor Brothwood said: "We call on the Council to invoke CPO powers in relation to the derelict shops on Sandringham Place, Wordsley. "Following years of attempts to try and secure new tenants and find sources of funds to rectify the shops it has now come to an impasse. There is a myriad of ownerships including, sub lessees that need to be dealt with. "There are a number of health and safety issues as well as crime related factors that must be taken into account. Many attempts have been made to deal with this saga, but to no avail. "Following the demand for housing this site may be a prime location. "For too long these empty premises have caused costs to the taxpayer, a solution must be found. "We look forward to working with the council to find a speedy and cost friendly solution." A CPO is a legal function in the United Kingdom and Ireland that allows certain bodies which need to obtain land or property to do so without the consent of the owner. The run-down shopping parade was part of a plan for regeneration a few years ago. It was intended that two of the three empty stores which had been the target of anti-social behaviour could even be open in time for Christmas 2015. However, following an enforcement notice being issued to owners, plans reached a standstill shortly after. Vandalism on the shops over the past 15 years has included doors and windows being smashed in, graffiti and fly-tipping outside. Councillor Brothwood added: "When I was on my election campaign I promised I would look at this road alongside other derelict properties.